Are you Team Fowler or Team McManaman? 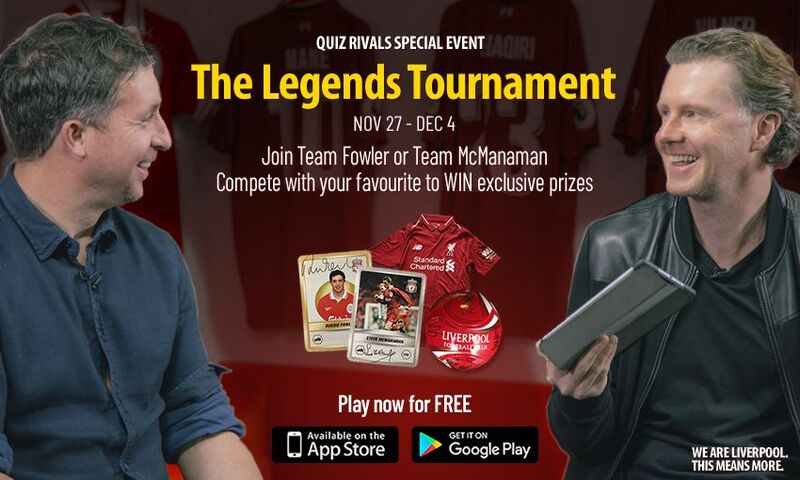 Download the free LFC Quiz Rivals app now to take part in a special Legends Tournament alongside two Reds greats. LFC Quiz Rivals gives players the chance to compete to be the club's ultimate quiz champion in our head-to-head trivia game featuring the most memorable stars, matches and seasons in the club's history. And with the new and free Legends Tournament special event, which runs until 5pm GMT on Tuesday December 4, you can win exclusive prizes by competing alongside two iconic figures in the club's history. So, are you Team Fowler or Team McManaman? Download the app now and pick your side! LFC Quiz Rivals is FREE to download and play, and is available on iOS and Android devices globally by clicking here.